THE re-united Alvin Brothers – Dave and Phil – are heading to Glasgow for a gig in the newly-refurbished Art School on Tuesday, October 28. 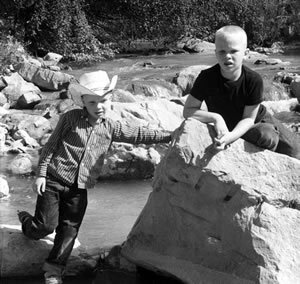 It took a near-death experience to reunite Dave Alvin and Phil Alvin, the California brothers at the heart of “roots heroes” (Rolling Stone) The Blasters. It’s a real coup for promoters, The Fallen Angels Club especially with the brothers’ current album – “Common Ground: Dave Alvin & Phil Alvin Play and Sing the Songs of Big Bill Broonzy” – going down a storm. This is the Californians’ first collaborative effort in 30 years and their first as brothers as opposed to being members of The Blasters, which Dave quit in 1985 to pursue an illustrious solo career. The brothers are widely recognised as real mainstays of the roots/rock genre, separately or together – so this gig promises to be something rather special. The newly refurbished Art School is the perfect venue for this show. Guitarist and singer Jefferson Hamer, co-recipient of a 2014 BBC2 Folk Award, and songwriter and multi-instrumentalist Kristin Andreassen join together to showcase their newest original music after a spectacular year performing at the Newport Folk Festival, Royal Albert Hall, and Telluride Bluegrass Festival. They first met over a decade ago in Lyons, Colorado, where Kristin and her band Uncle Earl gathered to rehearse material for their award-winning album Waterloo, Tennessee, produced by Led Zep legend John Paul Jones. Jefferson lived next door, and he and Kristin sung country-style duets in the kitchen, finding common ground in traditional music from both sides of the Atlantic. Kristin’s song writing earned her a feature on NPR’s Prairie Home Companion (with Jefferson as guitarist-in-tow) and her skills as a backing vocalist and instrumentalist were highlighted on recent UK tours with Jeffery Lewis and Aoife O’Donovan. You can Book online via Ticketweb or give Tickets Scotland a call on 0141 204 5151, or pop into The Admiral Bar and purchase a ticket from behind the bar. Texas songwriter, Jimmy LaFave will bring his ‘red dirt’ music’ to open this year’s Glasgow Americana Festival on Wednesday, October 1. He will perform with his band at Oran Mor, ensuring Glasgow Americana gets off to a great start. It’s around 15 years since Jimmy, whose music lies brilliantly somewhere between Dylan and Guthrie, last played a Scottish date. “His bluesy ballads are sung with such depth of feeling that even on a warm sunny day, they give you goose bumps.” – No Depression. Glasgow Americana takes place between 1st & 5th October and also features, Mary Gauthier, Sturgill Simpson, Adam Holmes & The Embers, Carrie Elkin & Lynne Hanson, Ben Glover, Hazy Recollections Concert, Anthony D’Amato, Matt Andersen & Stephanie Manns. For full festival details please drop by the website. Rescheduled from Sunday 5th October, original tickets still valid. The Californian, last in the city in 2013, has a loyal and sizeable fan base built on the back of the solo records he’s been producing for 20 years and invigorating live shows. The former Green on Red member’s last album “Temple Beautiful”, his 12th, reviewed his life in the San Francisco Bay area and won generous and glowing reviews aplenty. Word is he’s working on an album at the moment and it is due for release in September on Yeproc Records. A big guitarist, Prophet is also a revered writer’s writer with the likes of Lucinda Williams and Alejandro Escovedo among his biggest fans. 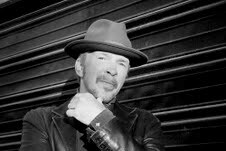 Roots/rockers, Dave Alvin & Phil Alvin and the Guilty Ones are heading back to Glasgow in April, touring their latest acclaimed album, Lost Time. They are making up for lost time, for sure, as they will play the Art School on Tuesday, April 19, scene of a triumphant reunion gig back in October 2014. Previous album, the Grammy-nominated Common Ground – the Californians’ first collaborative effort in 30 years and first as brothers since Dave left the Blasters in 1985 – focused on Big Bill Broonzy songs. But this time round they reprise the music of James Brown, Leadbelly, Willie Dixon, Blind Boy Fuller and Leroy Carr, among other greats. They also cover four songs by Big Joe Turner, as a tribute to the blues legend they met as teens, and who became their friend and mentor. Their aim is to honour and expose these great artistes to new listeners. Dave and Phil are mainstays of the roots/rock scene so the chance to bring them to Glasgow again was not to be missed. Their last gig was memorable here, so we can expect an another big deal treat.